Welcome back to Event 45: $50,000 Poker Players Championship. Today, 103 players will return for Day 2 action after taking to the felt yesterday. There should also be a few late registrants as players are allowed to sign up until the start of today's play. Once those players roll in, we'll let you know who they are and where they're seated. 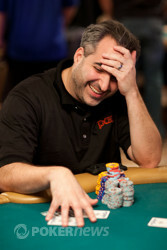 Matt Glantz was the man who bagged up the most chips at the end of the night on Day 1. He finished on 310,700 and was the only player to eclipse the 300,000-chip mark. Coming in behind Glantz are Ali Eslami, Keith Gibson and Lyle Berman. 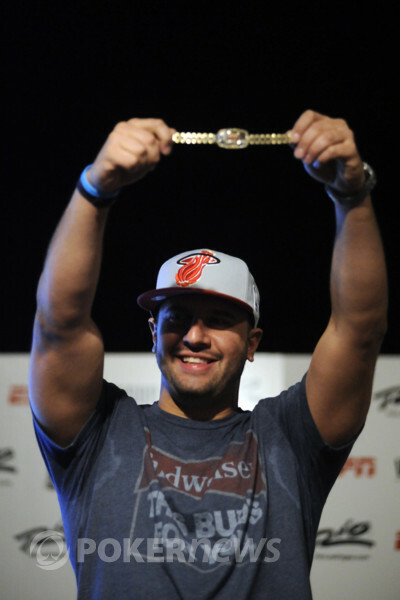 With two previous final tables in this event from 2008 and 2011, Glantz is now the early favorite in the field. Still, it's very early in the event and anything can happen. Today is going to be an important day on the felt for all players, especially the ones who couldn't get much going on Day 1. Of those to finish Day 1 with short stacks are Justin Bonomo, Lee Goldman, Bertrand "ElkY" Grospellier and Chris Klodnicki. It's a new day, though, and there's still plenty of time for them to turn it around. Also still left in the field are Phil Ivey, Daniel Negreanu and Jason Mercier. Mercier bagged up the most chips of those three at 201,000. Play is scheduled to kick off at 2:00 PM and PokerNews will have all of the live updates that you won't want to miss!